After six years of Sannyas, Sachin Tendulkar has entered the name of the world record, not too easy for Virat to break it. 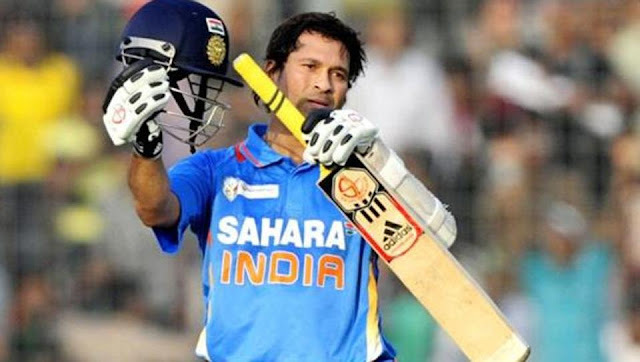 After six years of the cricket, God's saying, Sachin Tendulkar, has been on top of his unique record since retiring from international cricket. 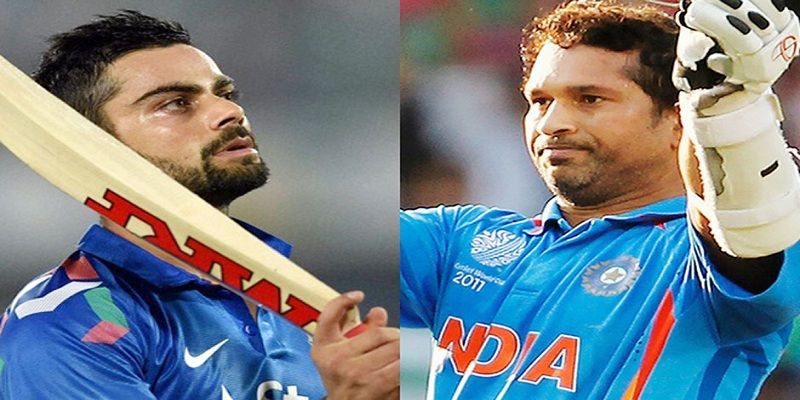 Sachin to play 463 ODI match for India, the best fours in ODI cricket still hold the top on the list. The name of Sachin who retiring from international ODI cricket in the year 2012 has a record of 2016 fours in 452 shifts. After Sachin is Sri Lanka's legendary opener Sanath Jayasuriya, who has 1500 fours in 433 shifts of 445 matches. Jayasuriya's team-mates remained former skipper Kumar Sangakkara is the third number with 1385 squares in 404 ODI matches. The Aussies won the title twice in their captaincy as former skipper Ricky Ponting is the fourth number with 1231 squares in 375 matches. After Sachin is Sri Lanka's legendary opener Sanath Jayasuriya, who has 1500 fours in 433 shifts of 445 matches. Jayasuriya's team-mates remained former skipper Kumar Sangakkara is the third number with 1385 squares in 404 ODI matches. The Aussies won the title twice in their captaincy as former skipper Ricky Ponting is the fourth number with 1231 squares in 375 matches. Australia's only former wicketkeeper-batsman Adam Gilchrist is up by 1162 fours in 287 matches in this case fifth. West Indies batsman Chris Gayle is the only batsman in the present time who have not yet retired from international cricket and has planted more than 1000 fours. Gayle has rooted 1061 fours so far in 276 ODI matches. Among them are former Indian explosive batsman V Sehwag (1132 fours in 251 matches), Saurabh Ganguly (1122 fours in 311 matches), Sri Lanka veteran Mahela Jarayavaradhane (448 fours in 1119 matches). Former Indian wicketkeeper-batsman and wall name Rahul Dravid has had 950 fours in 344 matches, but his name is only 42 sixes. In the name of Sachin, where is the record to find the highest fours, the former allrounder player in Pakistan has recorded the highest Sixers blow? Afridi has planted 351 sixes in 398 matches. Thereafter Chris Gayle is second with 275 sixes.